The 4th of July is just right around the corner and we are expecting to see USA-themed kicks in the sneaker market in the coming days. 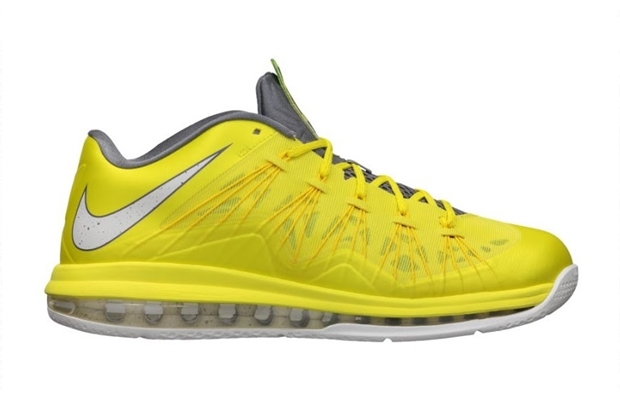 Aside from those kicks, Nike Basketball is about to release the sixth colorway of the Nike LeBron X Low. This popular LeBron James sneaker will be released in a Sonic Yellow Edition that is officially listed as the Sonic Yellow/Sail-Cool Grey-Tour Yellow colorway of the kick. This silhouette rocks a Hyperfuse and Dynamic Flywire upper with white outsole and Nike Swoosh logos. This is arguably one of the best colorways of this shoe so make sure to get your hands on this kick as soon as possible.